For a trouble-free move to San Clemente, Meathead Movers is the company for you! Our professionally trained student-athlete movers are ready to get you into your new San Clemente home. San Clemente is one of South Orange County’s premier beach communities. Residents of San Clemente enjoy the area’s temperate Mediterranean climate and stunning ocean views year-round. Moving to San Clemente gives you the opportunity to live in style. The community’s relaxed pace and many amenities make it ideal for both retirees and families. 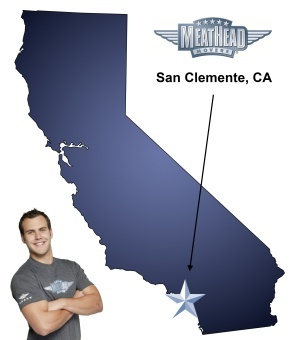 Meathead is proud to serve as your trusted San Clemente movers. Interstate 5 cuts through San Clemente offering easy access to both Los Angeles and San Diego. Residents can drive up and down the coast of the historic Highway 1, better known as the Pacific Coast Highway. The San Clemente Pier provides relaxed dining and leisure options and is also a great fishing spot. Surfers enjoy the excellent beaches in and adjacent to San Clemente. The Trestles, widely considered one of the best surfing spots in all of California, is located in the city. Equally famous, San Onofre lies just to the south, easily accessible via Highway 1. The city is home to a handful of surfer’s publications and to the environmentally minded Surfrider’s Foundation. At Meathead Movers, we have over a decade of experience in serving the needs of families living in and moving to Southern California. Our friendly office staff and clean-cut student-athlete movers will be with you every step of the way. As your San Clemente movers, we will ensure the safe delivery of all your possessions. Our Princess Packers can carefully package all your belongings prior to your move to ensure that none of your valuable possessions are damaged or broken. Our office staff will oversee every step of your move with the help of our proprietary software system. We also have a complimentary moving concierge service to connect you with local service providers. All our movers are dependable, drug-free student athletes. To make the most of your time, they even jog while not carrying your possessions. If you are moving to San Clemente from outside the area, we assure you that the same movers will be with you throughout your trip. We are experienced in executing local, long-distance, and commercial moves and are happy to help you with all your moving needs. Call us today for your free, no obligation moving quote. We look forward to serving as your San Clemente movers. Moving to San Clemente? Here are some helpful resources. View more San Clemente resources. Meathead Movers were excellent. Even with my mess up on the move date, they worked with me and shuffled things around (without a fight) and got me moved on my actual date. The 2 guys were friendly, efficient hard workers. I’ve used MHM in the past and would definitely recommend and use them again myself. The crew worked quickly and had great attitudes.